Data Backup and Disaster Recovery that keeps your business on track. Reliable asset protection is indispensible, since a disaster could strike at any moment, seriously compromising your systems and data. Predicting the future is impossible, but preparing for it with a disaster recovery solution makes the risks less scary. With the protection of data backup, computer hard drive backup, and complete hardware and system recovery from Systems Outsource Services, Inc., businesses like yours throughout Arkansas reap the benefits of total security. Systems Outsource Services, Inc. offers the progressive technology you need to protect your company, along with the professional support you need to keep it running. By servicing companies in Arkansas, we ease your worries with computer network maintenance, data backups, and computer hard drive protection against unforeseen dangers. If your business requirements include business continuity solutions, online server, data storage, file data recovery, hard drive & computer recovery, secure offsite data backup service, solutions, online and remote data backup, or managed disaster recovery services, we are there when you need us. You are compromising the longevity of your business if your crucial assets are not fully safeguarded with a reliable recovery and backup plan. 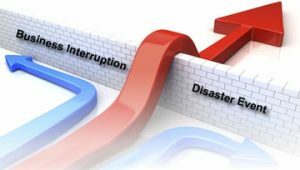 Get a Business Continuity Plan and data backup solution that allows you to recover from even the worst disaster ** before it is too late.